Inspired by the late-nineteenth-century urban park movement, Bronx Park was formally created by the City of New York in the late 1880s. In 1891, the City allotted 250 acres of the park to The New York Botanical Garden. An additional 250 acres were allotted to the New York Zoological Society in 1897 for the creation of what is now known as the Bronx Zoo. 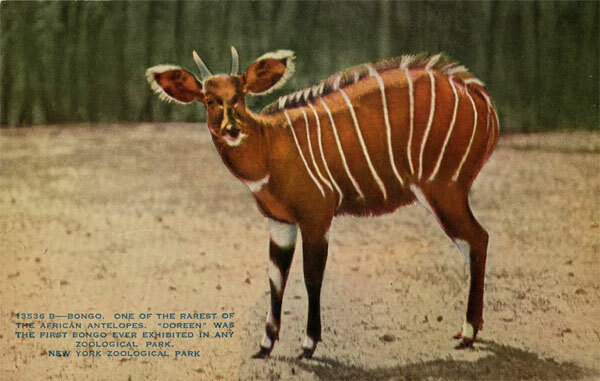 Funded by a 2011 METRO digitization grant, this digital collection brings together postcards held by the Wildlife Conservation Society Library (which houses the archives of the Bronx Zoo) and The New York Botanical Garden’s LuEsther T. Mertz Library. These 450 postcards, which range in date from 1905 to the 1980s, depict Bronx Park's natural beauty and highlight the buildings, landscapes, and inhabitants of the two iconic institutions located on this land.